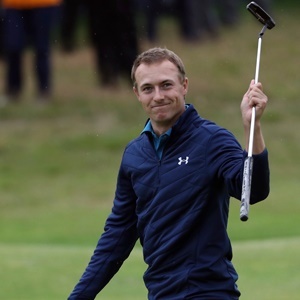 Cape Town - World No 2 Jordan Spieth is a winner even before he flies Down Under to defend his Australian Open title later this week. According to reports, the 25-year-old is set to make a cool US$1 million for just appearing at the tournament, held at Sydney's The Australian course, regardless of how he performs. It's an impressive figure when you consider that the purse for the entire event is only A$1.25 million ($944 000). Still, Golf Australia executives believe the fee to guarantee the appearance of the Open Champion is worth it for all the extra revenue his star power brings to the event. "From my perspective, Jordan is the biggest man in world golf," chief executive Stephen Pitt told Reuters. "He's an all around package on the course and beyond that he's likeable. "We've basically sold out of corporate hospitality and Jordan's announcement really helped that, and pre-sales of tickets are much more advanced of last year." The Australian Open gets underway on Thursday, November 23 at The Australian Golf Club.